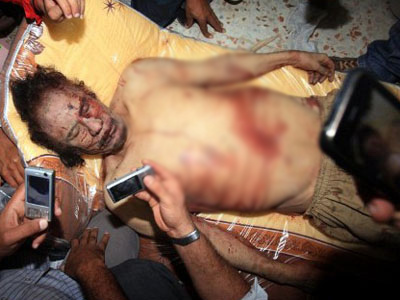 Colonel Muammar Gaddafi was wanted dead so his secrets would die with him. So insists Mahmoud Jibril, the man who led the NTC uprising to overthrow Colonel Gaddafi’s regime, in an exclusive interview with RT. ­“Too many parties who have real interests that Gaddafi doesn’t talk, that he should be silenced forever,” Mahmoud Jibril told RT, specifying he does not know who exactly killed the Colonel – a foreign entity or Libyans. 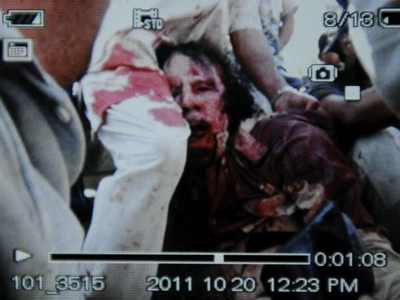 “I would love to know who was behind [Colonel Gaddafi’s] killing,” he said. 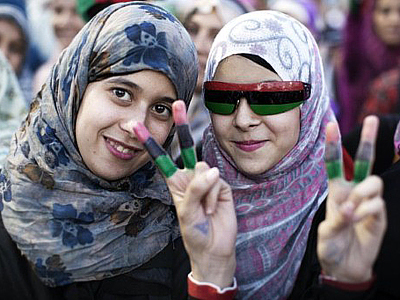 Jibril told RT the former ruler of Libya Colonel Muammar Gaddafi sent too many contradictory messages, trying to buy time and pretending to have a readiness to share power. 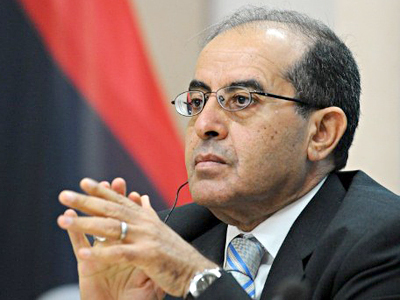 Mahmoud Jibril said he regretted Colonel Gaddafi was not taken alive to face trial, but certain powers that may have wanted him to keep silence due to the secrets he knew. 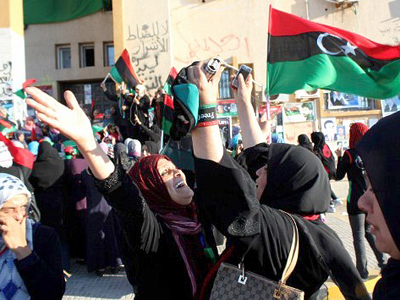 After months of fierce resistance to NTC militia backed by allied NATO forces, Colonel Muammar Gaddafi was captured on October 21, 2011, in his hometown and stronghold of Sirte while trying to escape from encirclement. 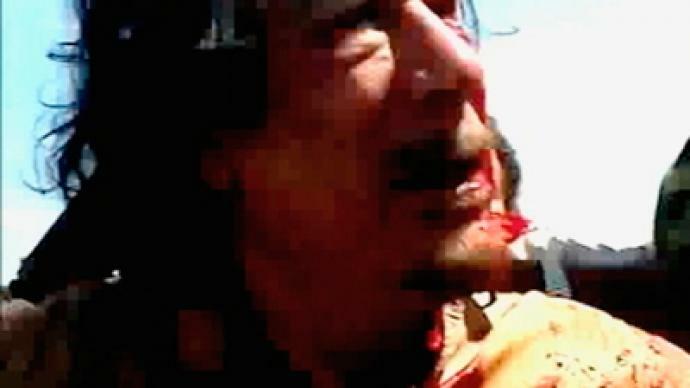 He was captured alive, but instead of being treated as prisoner of war, interrogated and put on trial, the former ruler of Libya was tortured for several hours and then murdered by a militia mob. 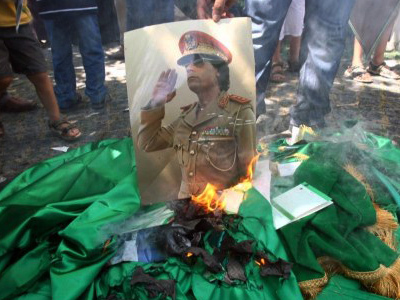 Later, the NTC claimed they never gave an order to kill Colonel Gaddafi. 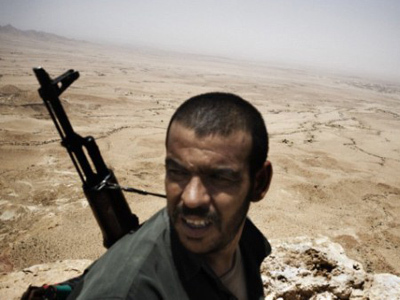 They even stated that at first the former Libyan leader was fatally wounded when a gunfight between his supporters and NTC fighters broke out after his capture.